Whatsapp one of most downloaded app in the World . I am sure if you have smart phone then you also use Whatsapp for either Messaging Purpose or Business Purpose. One survey tells that more then 1 billion Whatsapp messages are sent daily. I guess i do not need to speak about its popularity as its Trending World Wide these days because Facebook the purchased it for $19 Billion yes $19 Billion with the Capital ' B ' you heard it right. So, What is Whatsapp Basically ? Whatsapp is one of the most Popular application. Whatsapp offer voice messages, text message, multimedia message and group discussion. Most of people are connected with Whatsapp. Approximately 450 million people used Whatsapp. This apps will disconnect Internet connection when you open whatsapp.so servers can't update last seen seen when you open message. Now When you close whatsapp the internet connection is active and will send the messages without updating last seen status. 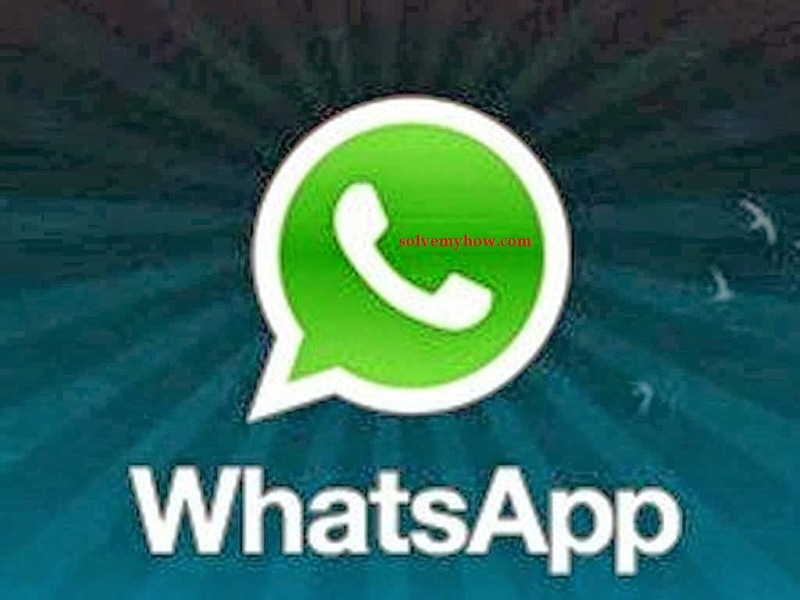 How to Download New Version of Whatsapp ? 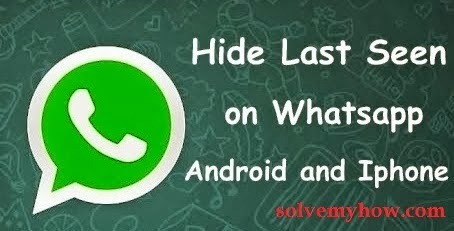 Whatsapp was already offering Last Seen hide feature to Ipad and Iphone user. but Recently Whatsapp expanded its features for android device. Now it is available for android OS also . However right now it is not available on Google Play store. You have to download it from Whatsapp official website. How to Hide Last Seen Option in Iphone ? In Iphone hiding last seen is pretty easy then Android. Latest version of whatsapp for iphone has "Last Seen Timestamp" option. 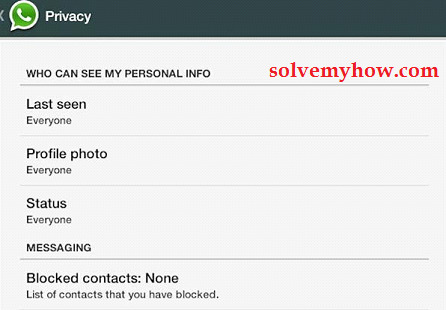 This will help you to hide last seen status in whatsapp. 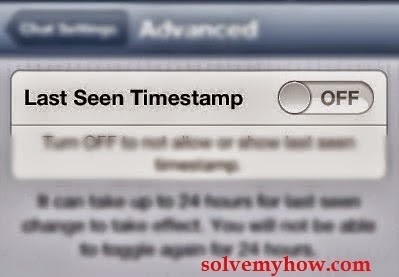 To activate it just go Settings >> Advanced >> Last Seen Timestamp and now make it Off. What do you think is this is a good update from Whatsapp, please share your reviews via comments and if you like this post don't forget to share it and join us ! This post is about hiding last seen on Whatsapp. Your comment is not related to this post. But still Go ahead and Leave your email address with us and wait for the acknowledgement mail from us. please send me the genuine key to parasaggarwal42@gmail.com for the wifihack tool. I have subscribed you and even followed you. Now just waiting for the new and powerful comment for you. Hi Piyush, is your app work on Lenovo phone? Do let me know if you stuck somewhere ! Thanks for stopping by and commenting. We have sent you key and password. Kindly check your email. Do share this with your social media friends too. After all sharing is caring. Thanks for stopping by and commenting. Ashim we have sent you key and password. Kindly check you mail. Thanks for stopping by and commenting. Yoganandam we have sent you key and password. Please send me a password at info7.hca@gmail.com very soon. I have successfully downloaded the file. Kindly comment on hack wifi password post. We are regularly sending passwords to our users. We would be glad to send you to. Kindly leave you email address on hack wifi post and don't forget to share this post with your social media friends. After all sharing is caring right!